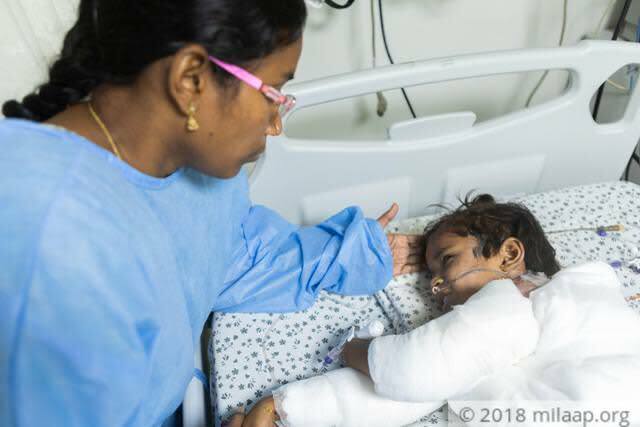 Every year since she could remember, 4-year-old Shreya waited for November to arrive, not because it was her birthday month but because it was the month of the festival of lights. She loved everything about it, from watching her mother, Priyanka, light little diyas (lamps) in their verandah, her grandparents getting her new clothes, to her favourite activity – bursting crackers with her friends. She would always be careful in handling the crackers and follow safety precautions, as advised by her mother. But this year, Diwali ended on a sad note for this poor child and her family. 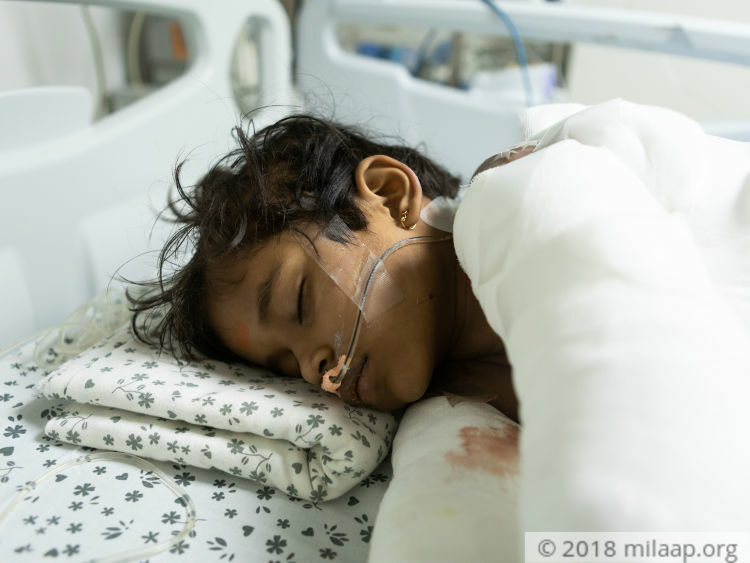 Shreya’s dress caught fire unexpectedly when she was bursting crackers outside her home, and spread fast to the rest of her body. 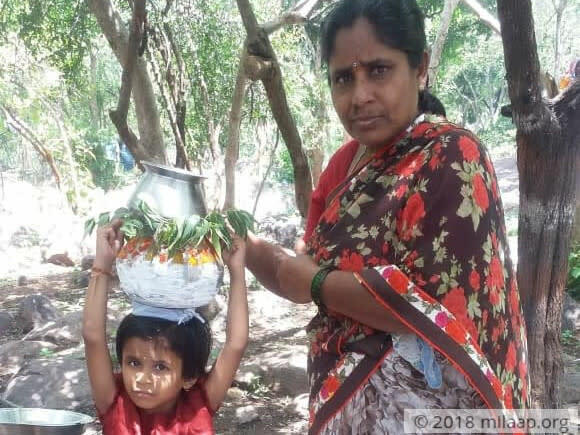 The little girl screamed for help, calling out to her mother ‘Amma, Amma!’ but unfortunately, her partially deaf mother could not hear her for some time. But help arrived soon after, and she was rushed to the nearest hospital. 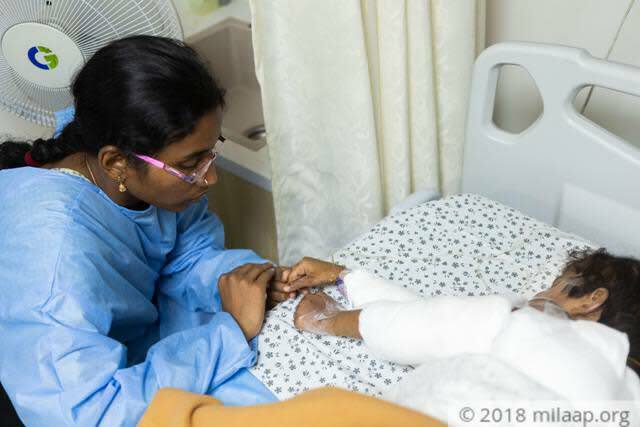 Shreya’s burns were so severe that she had to be rushed to the ICU on arrival at the hospital, where over the next few days she underwent a total of 4 surgeries. 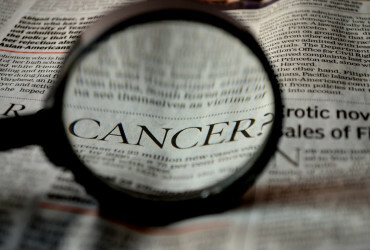 Her arms, entire abdomen and lower body are badly affected and hence covered in bandages to avoid the risk of infection. She has undergone multiple procedures like skin grafting too. She is going through so much pain that her screams can be heard miles away from the ICU ward that she currently stays in. Shreya was lucky enough to grow in her grandparents’ care since birth, and loved them more than her own parents. She was an active girl who used to sing songs for them and play with them, more than she did with her peers. Whenever she got a bruise or a wound from falling down while playing, she would run to them first. 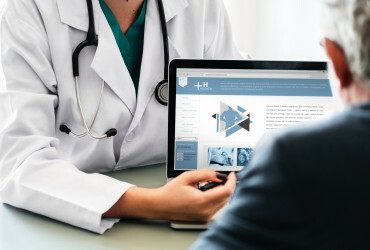 They always had a solution to her every problem, but now as she lies in the ICU fighting for her life, her grandparents’ soothing words are not enough to calm her. They are there by her side, telling her that she would be fine soon, but Shreya is inconsolable. Shreya’s father, Sandeep Reddy, left home for the Gulf one-and-a-half years ago after getting a job as a labourer. 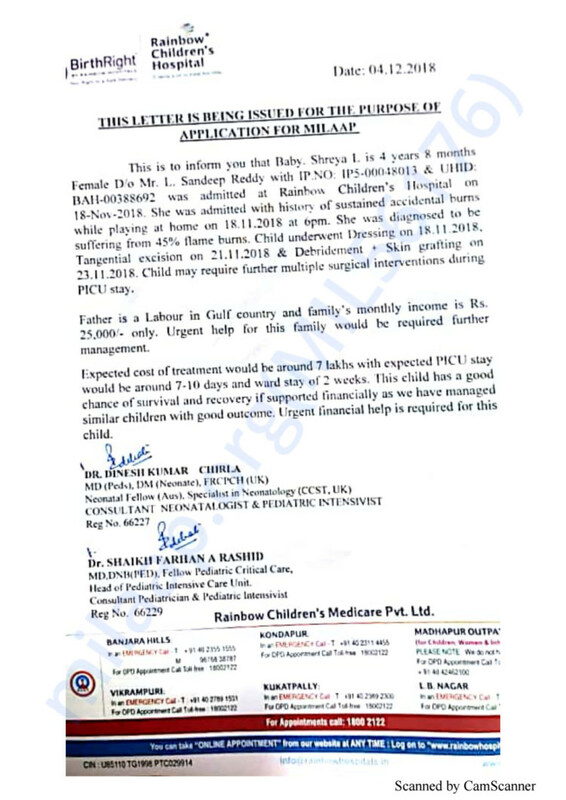 He has signed a contract which says that he can only come back to India after completion of 2 years, and hence has not been able to visit his ailing daughter in the hospital. Priyanka is forced to manage everything by herself. With the help of her kind relatives and friends, she was able to pay for her daughter’s treatment till now. But Shreya needs prolonged ICU care and medication to survive. Priyanka has spent over Rs 20 lakhs, much beyond her middle-class family means, in such a short period. She has only one prayer: she wants her daughter to survive, even if that means she and her family have to be in debt for the rest of their lives. 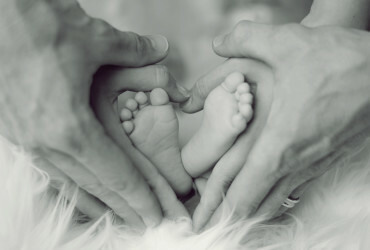 We can ensure that this mother does not have to endure more suffering than she and her daughter already have till now. 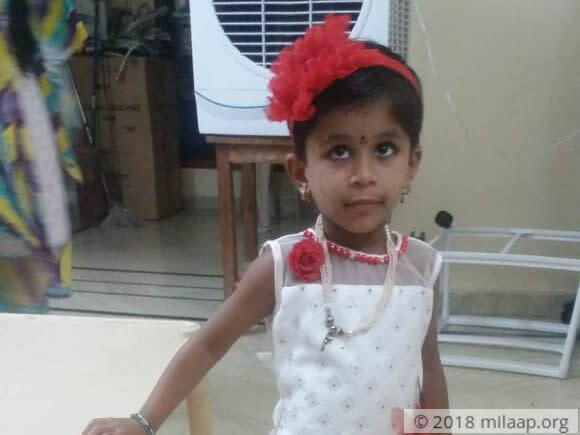 Shreya can be saved from the excruciating pain that she is going through right now if you decide to make a small contribution. Her mother Priyanka is lonely in this battle and losing hope every day. Her father is miles away and helpless. He will not be able to forgive himself is something were to happen to his darling daughter in his absence.